Exploring the meaning of dreams can involve delving into fears, aspirations, hopes and readiness for emotional support. Hugging in a dream can mean many things, depending on the context in which the hug occurs. An embrace is a symbolic gesture that can mean different things to different people, but there is an underlying feeling of interconnectedness that appears to be consistent. The meaning of being hugged in a dream changes based on whom you hug. 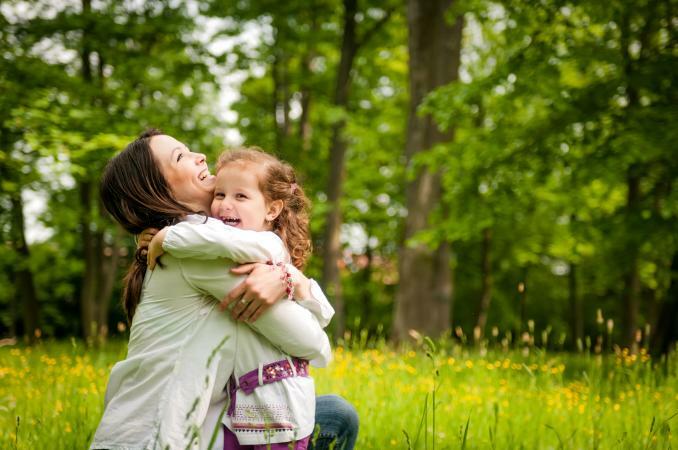 Mothers who dream of hugging their children, for example, are signs of a positive, protective and trusting bond. It's not uncommon for a pregnant woman to dream of holding, hugging and loving the baby she is carrying. Hugging someone you care about symbolizes your readiness to offer help and support to that person. Hugging an enemy or someone you don't trust symbolizes a need to reach out before betrayal occurs. Hugging a stranger may be a warning against opening yourself to the unknown. Dreams can have many layers, and meaning can emerge from both literal and symbolic representations. For example, an enemy may be an ex-lover or a former girlfriend, and hugging this individual can be expression of grief and loss. Does the dream mean you should reach out to that person? Not necessarily. It could just mean that you miss the relationship, but this doesn't necessarily mean that you miss the specific individual. The thrill of hugging a stranger can represent the encouragement to be open to new relationships. How do you tell the difference? If the stranger hugs you and you feel trapped, confined or uncomfortable, then it could be a warning to avoid the situation. If you hug the stranger and experience the same feelings of anxiety, it could illustrate the need to press past personal barriers for the new experience. What if you and the stranger both reach out for the hug at the same time? That is an encouragement to accept opportunities when they come your way. That opportunity doesn't have to be another person, but a chance at a new job, a new education or other. Many Native American tribes saw hugging in a dream as a sign of a person's willingness to accept change. Awakening requires overcoming a fear of being judged, personal insight, and the desire to exceed personal boundaries. As children, hugs were a great source of comfort and safety. The act of embracing the unknown suggests that contentment and satisfaction can be achieved when one steps beyond your comfort zone. Psychiatrist Carl Jung was not the first to study dreams, but his work in dream analysis is among the best known to professional researchers and pop culture alike. It was Jung who advocated that dreams must be interpreted on an individual level, taken in context with the dreamer. Jung believed that dreams could be approached from two different perspectives, the objective and the subjective. The objective approach identifies objects and people in the dream as exactly what they appear. The dream of your child is a dream of your child, etc. In the subjective context, the person, place or thing represents of something else. Jung believed that it was the dreamer who could identify when the dream was subjective or objective.